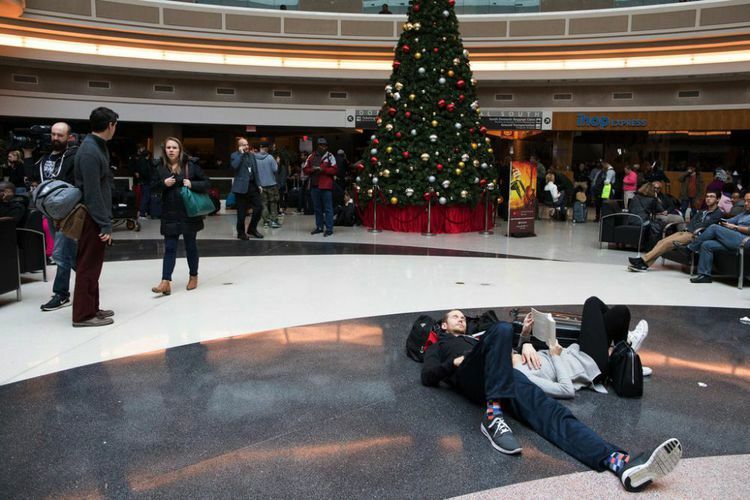 Atlanta - Power outages at Hartsfield-Jackson International Airport in Atlanta, United States, making 1,142 flights to be canceled on Sunday (17/12/2017). Reported by NBC News, as many as 250 flights have a delay due to electricity that died at 13:00 local time. The US Aviation Safety Supervisory Agency (FAA) conducts a number of directions related to air traffic. "The FAA Tower can operate normally, but the departure is delayed because the airport equipment at the terminal is not working," he wrote in a statement. The New York Times reported, Delta Air Lines, the airline with the most passengers at the airport stated, more than 450 flights were canceled. A spokesman for Southwest Airlines, the second largest airline in the airport, said 70 of its 120 flights had also been canceled. American Airlines also canceled 24 flights and the next 30 flights on the same day. Airplane passengers also reported flight delays at other airports due to cancellation and flight delays at Atlanta airport. Power company Georgia Power said in a statement late on Sunday local time, power outages were linked to a fire that caused severe damage at Georgia Power's underground power facility. " The flow of electricity to the airport recovered slightly at 7:30 pm local time, about seven hours after the initial outage. However, the new electricity fully meets airport needs at midnight. Firefighters can extinguish the fire that caused a fire at the Georgia Power power plant. However, they have not been able to confirm the cause of the fire. AFP reported a number of photos and videos uploaded on social media showed people walking through dark corridors at the airport. "I have not eaten since 8 am, I feel cool. #AtlantaAirport," chirps one Twitter user. "Atlanta airport has no electricity, I'm stuck on the runway, I'm hungry, and a little buzzing ..... Need help !! !," wrote another Twitter user. 1 Response to "Power Outages, Atlanta Airport in US Cancel 1,142 Flights"
We see disappointments on the face of travellers when they look at their cancelled flights however they can avail long stay airport parking services where they can stay in their car in a wait for their flight.